The South Arm Community Kitchen met up on the Summer Solstice for another cooking session. 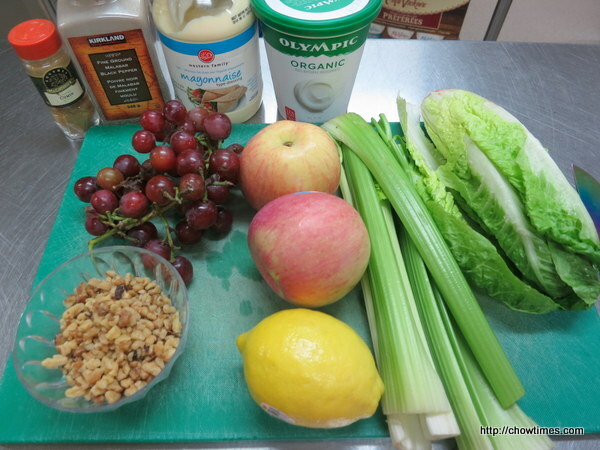 For the starter, we made a Waldorf Salad. 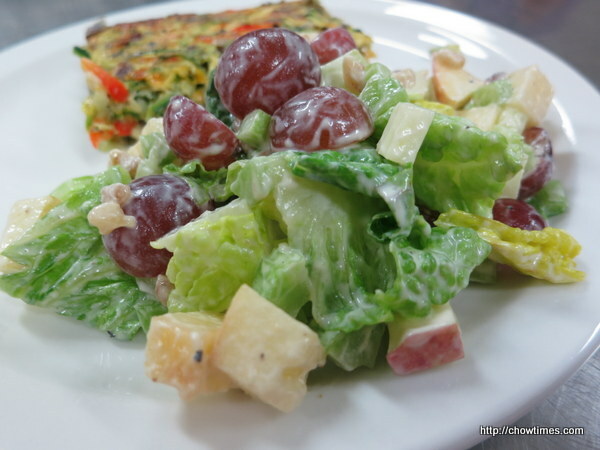 The classic Woldorf Salad includes apples, celery, nuts and grapes. In this recipe, we added Romaine lettuce for a more voluminous salad.